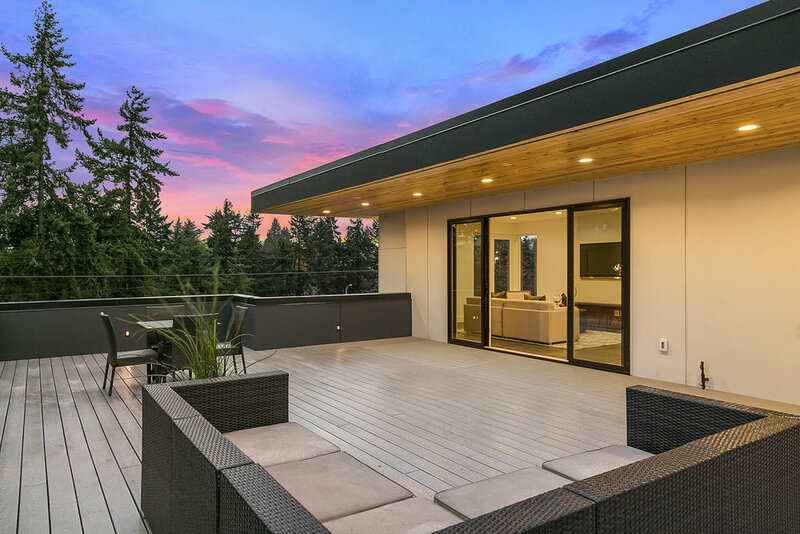 This striking modern masterpiece offers 3,324 square feet of elevated living. Complete with high end custom finishes throughout. A stunning chef’s kitchen provides endless opportunities for culinary exploration. Designed with outdoor entertainment in mind, the outdoor covered living areas allow for year round entertainment - ideal for the NW. Featuring an 840-square foot detached dwelling unit, complete with three guest bedrooms, a full kitchen and laundry - perfect for visiting friends or rental income. Ideally located 10 minutes from Downtown Seattle and Amazon. Quick access to Greenlake. Unparalleled Seattle School District.